Best promo of the year? 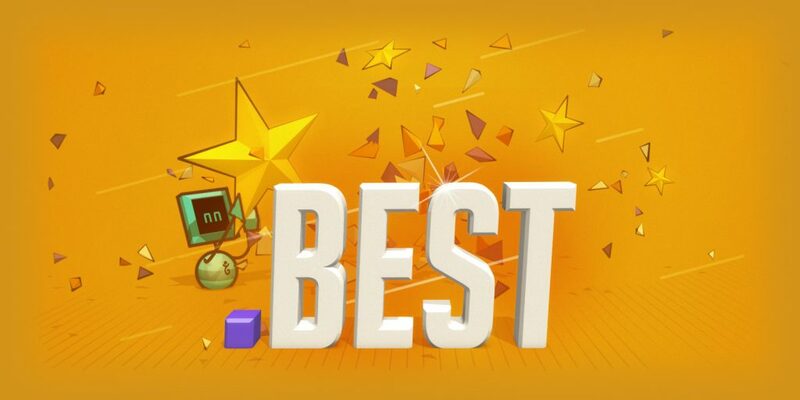 You decide when .best is on sale for $3.99* for the first year instead of the usual $128.68* per year from April 1 through August 15, 2019. Why get a .best domain? If you’re the best, obviously. Maybe that means you’re a leader in your field (or want to be), you have winning products or services, or on the flip side if you’re looking for the best. Maybe that means a review site or consumer rankings. Whatever makes you or your site the best, make that clear with a .best domain. Ever searched for the best pizza nearby or the best expert on a particular subject? You’re not alone. As a search term, “best” accounts for millions of search engine searches a day, all by people looking for the best of the best. That means a .best domain comes pre-optimized for SEO. What makes you the .best?